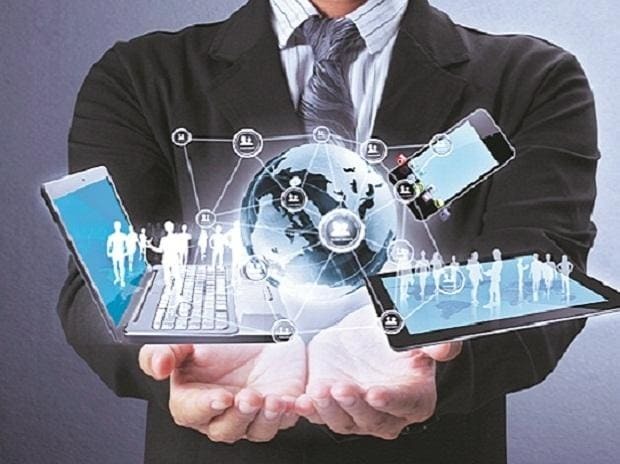 India can create up to $1 trillion of economic value from the digital economy in 2025, with half of the opportunity originating in new digital ecosystems, a recent study by the Ministry of Electronics and Information Technology and McKinsey & Co has found. The report, titled "India's Trillion-Dollar Digital Opportunity" was released in Mumbai by the Minister of Electronics and IT Ravi Shankar Prasad, at the ongoing Nasscom Technology and Leadership Forum. The study finds that India is among the top three global economies in terms of number of digital consumers. The report said India had 560 million internet subscriptions in 2018, up from 238.71 million in 2013, making it the second-largest internet subscriptions market in the world. India also has the second-fastest growth rate of digital adoption in the comparison set, which considered 17 mature and emerging digital economies including Brazil, China, Indonesia, Russia, South Korea, Sweden, and the United States. India’s digital index score, measured on digital foundation, digital reach and digital value, moved from 17 in 2014 to 32 in 2017 (on a scale of 0 to 100), the second-fastest rise after Indonesia. India performed well on e-governance and digital identity, the growth rate of mobile internet access, and the uptake of digital media by online consumers. Prasad pointed out how the government had set the stage for digital maturity by putting in place policies such as the one on electronics, the data protection law, which was being fine-tuned and a software product policy which is likely to be introduced soon. India’s digital divide is narrowing fast, said the report, as less affluent states catch up with more affluent states. Between 2014 and 2018, of the 10 states with the highest rate of growth in internet subscriptions, seven had per capita GDP lower than India's average. The minister urged industry bodies to think of more ways to improve access and connectivity to rural areas as two-thirds of catchment consumer base for e-commerce is rural. The study further identified thirty digital themes in nine key areas that will help India scale up to $1 trillion of economic value in 2025.